With such generous support from patients and friends of Shrewsbury Family Chiropractic, the annual Care and Share in the Community Campaign has made a difference to someone’s Christmas. 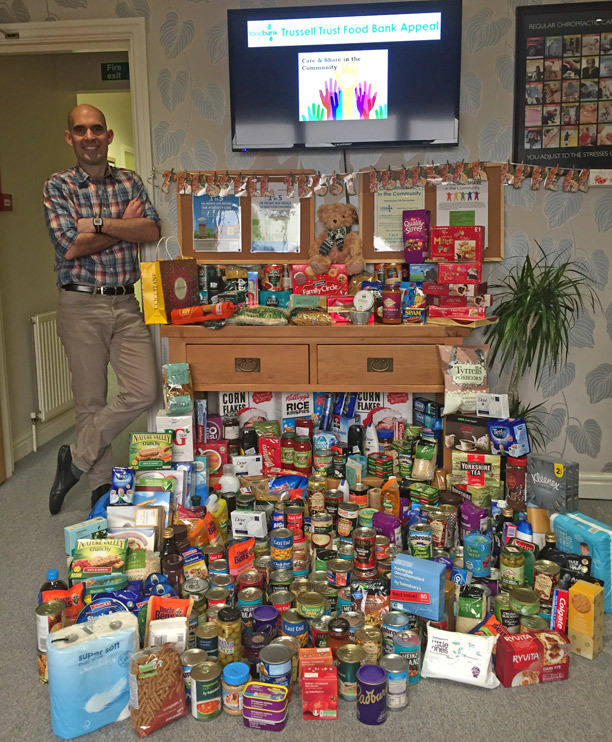 On Wednesday 9th December 2015, a special day was held where patients were invited to donate food parcels to the value of their chiropractic care in place of paying for their visit. This year the food parcels were donated to the Whitchurch Trussell Trust. “We had an amazing day in the practice. Our warm and giving patients joined us for fresh fruit, a cuppa and a Christmas mince pie while they chatted away and got to know the staff a bit more”. Thanks to your generosity, we have all helped some families in need this winter. 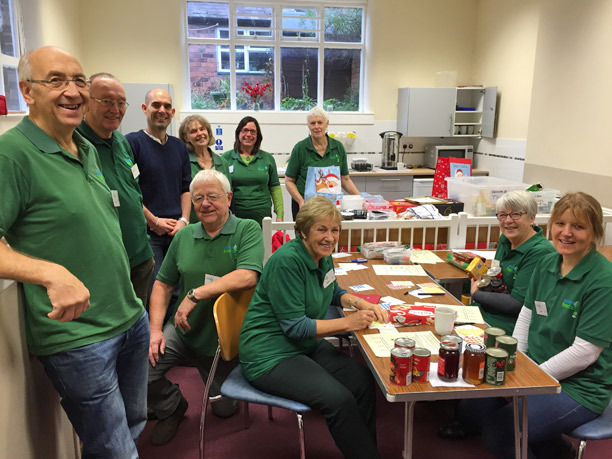 On Friday 18th December, Dr Fredericksen delivered the food donations to the Whitchurch Branch of the Trussell Trust, where they were made to feel extremely welcome by the volunteers. While at the Trussell Trust Centre in Whitchurch, Dr Fredericksen spoke to the volunteers who mentioned that there are so many families in the community that are simply living from one pay cheque to the next and just one unexpected bill will cause a crisis, where they will require the support of a foodbank. We hope you will join us again in December 2016 for the next Care and Share in the Community foodbank appeal for the Trussell Trust. The Trussell Trust foodbanks provide 3 days’ worth of food in exchange for a voucher which is obtained by a professional body such as a Doctor, Health Visitor, Social Worker or Police. In 2013-14 the Trussell Trust helped over a staggering 900,000 receive emergency food.